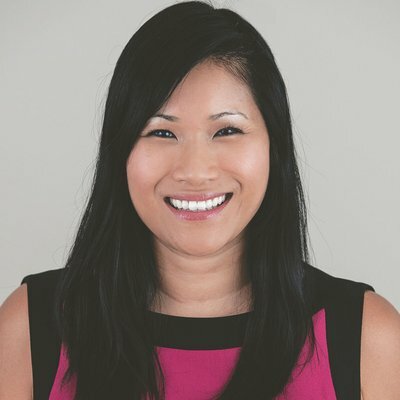 Lynda Tran is a Founding Partner and the firm’s chief public affairs and communications strategist. She has developed public engagement strategies for a variety of campaigns, companies, and causes across the globe -- including the Environmental Defense Fund, United Way Worldwide, Families Against Mandatory Minimums (FAMM), the Economic Security Project, Ready for Hillary, OneVoice, D.C. Public Schools, and some of the country's most-watched congressional and gubernatorial races. She serves on the Advisory Board for political technology incubator Higher Ground Labs and for Battleground Texas, where she helps guide the grassroots organization’s national communications efforts. A CBS News Political Contributor and columnist and frequent commentator, Lynda has appeared on major news outlets such as CNN, ABC, and FOX News. She has been featured on Glassceiling.com as part of its running series on female leaders and was also profiled by Modernae Woman. Lynda helped launch 270 Strategies after serving as director of communications for the National Highway Traffic Safety Administration at the U.S. Department of Transportation. As one of the five presidential appointees at the helm of the nation's top automotive safety agency, she steered NHTSA through numerous communications crises and helped inform key policy decisions by Transportation Secretary Ray LaHood, NHTSA Administrator David Strickland, and Obama White House officials. In this role, Lynda oversaw the agency's nationwide earned and paid media efforts, including messaging on federal regulations, new automotive safety technologies, and vehicle fuel economy, as well as nearly $30 million each year dedicated to NHTSA's "Click It or Ticket" and "Drive Sober or Get Pulled Over" campaigns. Prior to cofounding 270 Strategies, Lynda managed high-profile communications operations across government, politics, and labor -- leading teams at the federal and state levels, the Democratic National Committee, and the Service Employees International Union (SEIU). Over four presidential cycles, she worked as both an organizer and a communications lead on political campaigns in the key battleground states of Virginia and Ohio, and in the red clay turf of East Texas. Lynda has shaped national media coverage and served as the primary spokeswoman on hot button issues throughout her career. As national press secretary for Organizing for America -- the campaign organization created after the 2008 presidential election -- she helped build grassroots support for President Obama's top policy initiatives, most notably the Administration's successful drive to pass historic health care reform. During her tenure as communications director to then-Governor Tim Kaine, Lynda developed a comprehensive public messaging strategy to cement the Administration's legacy and managed breaking news on some of the most prominent events in the history of the Commonwealth. Over eight years in the labor movement, Lynda served as spokeswoman on issues including banking reform and health care, and she helped lead organizing efforts such as the Houston Justice for Janitors Campaign. Lynda earned a Masters degree in International Policy and Development from Georgetown University and a B.A. in Communications from the University of Pennsylvania. She speaks Vietnamese, French, and conversational Spanish. She lives just outside Washington, D.C. with her family and their enormous German Shepherd.